Our mission at Cleopetras is to offer clients a personal and pleasurable grooming experience for their dogs in a safe and enjoyable atmosphere, without compromise. We use only the finest natural shampoos and conditioners and never cage dry pets. Our method is significantly more intimate and time consuming than the typical grooming process, but the end result is a happy pet that has been cared for the way you would yourself: with love. Take a deep breath...relax...unwind. The benefits of de-stressing extends to our pets as much as it does to us; dogs pick up on our anxieties and stress from the rigors of daily life and need their own down time to do what they do best: be a dog. Think of our salon as a stay and play spa day for your dog - a place where they can play, relax, and come home looking, smelling, and feeling wonderful. We wouldn't rush through getting a massage, facial, or manicure, nor should your dog have to be rushed through their special day at the salon. 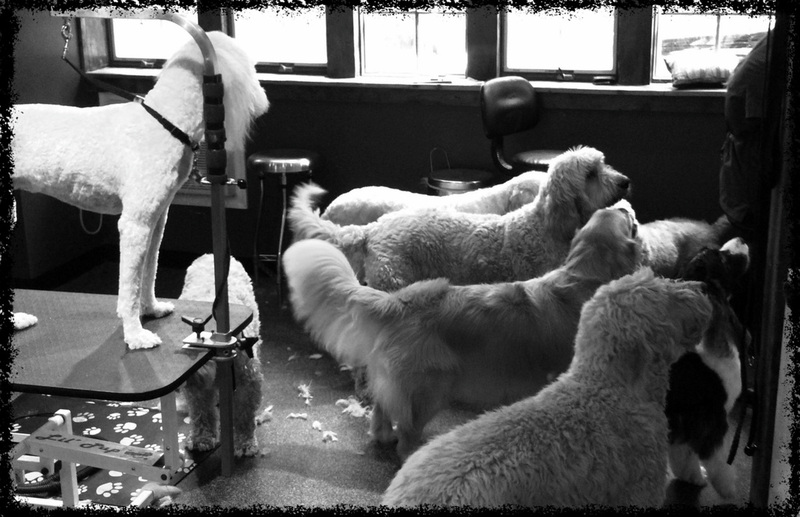 Your dog is not a typical dog, and Cleopetras is not your typical grooming salon. Quality grooming is an art and art takes time, but your dog will thank you. We consider our salon to be more than a grooming shop - it's a destination where dogs can engage their senses and create positive experiences. ﻿As a practice we do not crate pets during their spa stay unless requested by the owner, so friendly and healthy pets are able to explore the shop and meet new friends or catch up with old pals, which truly separates Cleopetras from other salons. ​We encourage our clients to give their pets extra time at the shop to bond with the groomers and become comfortable with the smell, scenery, and the uniqueness of having a play date along with a spa day. This approach helps to ease anxiety dogs sometimes associate with grooming, returning them home more relaxed and content than a typical visit to a grooming shop. Site powered by Weebly. Managed by SiteGround. Created by Cleopetras.